The original article can be found online at https://doi.org/10.1007/s11128-019-2229-2. 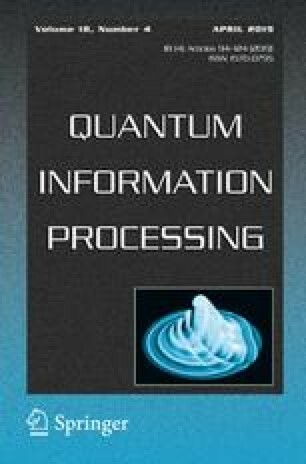 The article Demonstration of entanglement purification and swapping protocol to design quantum repeater in IBM quantum computer, written by Bikash K. Behera, Swarnadeep Seth, Antariksha Das, Prasanta K. Panigrahi, was originally published electronically on the publisher’s internet portal (currently SpringerLink) on 1 March 2019 with open access. With the author(s)’ decision to step back from Open Choice, the copyright of the article changed on 19 March 2019 to © Springer Science+Business Media, LLC, part of Springer Nature 2019 and the article is forthwith distributed under the terms of copyright.